Abu Dhabi, UAE – May 1, 2016: Jamalon, the Middle East’s largest online bookstore, has announced its new Publish-on-Demand (POD) service at the Abu Dhabi International Book Fair 2016. Set to launch in Dubai on May 15, Jamalon’s POD will be a first for the Middle East and will serve as a hub for the region’s publishing industry. Jamalon’s pioneering POD offering aims to revolutionize the regional publishing market by tackling many of the issues connected with traditional offset printing, such as long delivery times, warehousing and storage costs, expensive cross-border distribution and missed opportunities with out-of-stock books. In addition, the expense of offset printing and the need to print larger runs in advance has often meant that authors struggle to find a publisher to print their work. By harnessing the latest digital print technology, Jamalon’s POD will enable the region’s publishers to depend on the Jamalon platform to produce and distribute their printed books all over the world. The POD service prints smaller runs than traditional offset printing, enabling publishers to print as low as just one copy of any book, lowering costs and giving publishers the ability to print in response to orders. As orders are printed locally, international shipping costs are eradicated, which further reduces print costs. Publishers from all over the world can take advantage of Jamalon’s POD, using Jamalon’s distribution network to make their books available across the MENA region. Jamalon’s Publish-on-Demand service will take the MENA publishing industry to the next level and will be a vital asset for every regional publisher. As a company that believes in breaking down barriers for the exchange of knowledge between individuals, Jamalon’s POD marks an exciting new chapter for us. 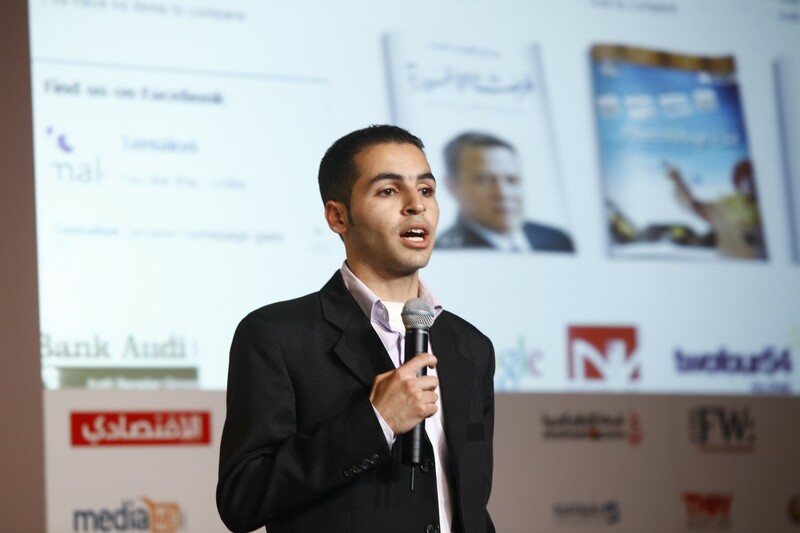 Ala’ Alsallal, Founder and CEO of Jamalon. Unlike other major online book retailers, Jamalon has adapted its strategy to suit the unique needs of the region. The catalogue includes a diverse selection of Arabic and English titles, many of which have not been previously available via e-commerce sites, while the website also offers local currencies and bilingual Arabic and English support. A logistical partnership with Aramex has allowed the company to operate unique cash on delivery model and customer tracking service, while free worldwide delivery was announced at the Riyadh International Book Fair earlier this year. Jamalon’s introduction of Publish-on-Demand will revolutionize the publishing industry in the Arab world, and will democratize the book industry in the region. It's a new dawn for readers, authors and publishers. Fadi Ghandour, Founder of Aramex and Executive Chairman of Wamda Capital. Jamalon was founded by Ala’ Alsallal in his native Jordan in October 2010, and now has a presence in London, Amman, Beirut and Dubai. Through the online website Jamalon.com, Alsallal’s mission was to expand the region’s access to knowledge and opportunities for learning, and to combat the high illiteracy rates recorded across the Middle East. Today, the company has grown to become the largest online book retailer in the Middle East, delivering 10 million Arabic and English titles worldwide, and having forged relationships with Arabic and English publishers.